Q: I’m thinking of getting a Virtual Reality headset; which one should I buy? A: Great question; VR is certainly the flavour of the month like never before, and with so many big players buying into it, it can be confusing looking at it for the first time. * There is a couple of things you want to consider before thinking through the options: your purpose, and your budget. Why do you want VR? How much money are you prepared to outlay on a VR system? Keep in mind that the headset itself is only a peripheral: you then need a system behind it to provide the grunt for the applications. If you want to go high-end then your PC might need an upgrade (or you might need a new PC), but if you have a compatible phone or gaming system you might be able to keep the cost down. (You’ll also need to consider some kind of headphones or headset and perhaps a controller, but this can be petty cheaply catered for.) Overall your investment might range from nearly nothing to $3000 so again, it depends on how serious you are about the whole thing. 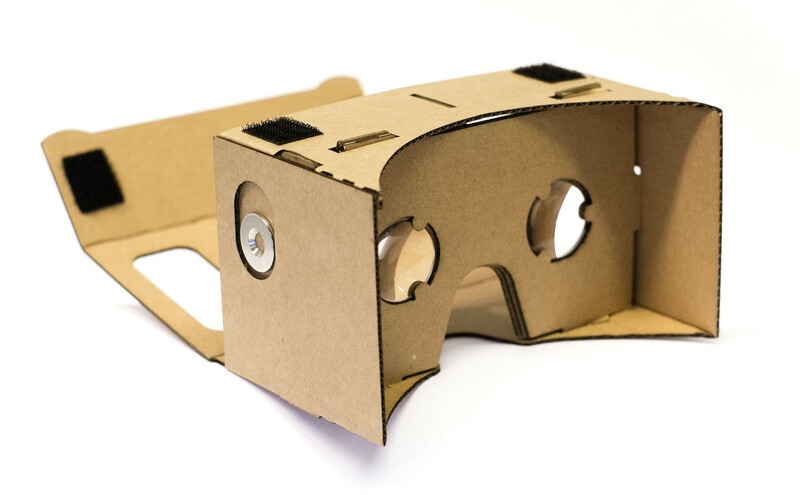 Google have produced a very interesting product which is basically just a cardboard box than you can fit your Android or iPhone into for only $15. This is entry-level stuff: mostly an interesting concept and a way to get a bit more mileage out of your existing phone. It provides a great entry-level option, but obviously requires a decent smartphone and so the experience will be directly limited by that. It’s a pretty basic experience but a good way to get a taste of the VR life. Samsung’s entry (the Gear VR), like Google’s, optimises the technology that (some) people already have in their pocket. It’s much more durable than cardboard, and is basically a plastic headset that you slip your Samsung phone into. Dedicated apps then run on the phone to provide a VR experience. This is perhaps a great option if you already have a Samsung phone and don’t want to buy a whole bunch of new technology to run your VR, and you only want to spend around $100 to look at the potential. Samsung’s business model is probably to encourage people to buy the phone to be able to run the VR, but make sure it’s not one of the explodey ones. PSVR is the VR headset most clearly dedicated to gaming, developed by Sony for the Playstation 4 for around $550 (but be aware you may also get slugged for a dedicated PS camera to make the whole thing work). If you already have a PS4 it’s perhaps the most direct way into the tech; or if you are considering getting a new-generation console, it may help tip you away from the Xbox One. The new PS4 Pro is designed specifically to have the power required for a better VR experience, but you can definitely run it on the original PS4. It has enormous support from developers, with dozens of games already out for the system and dozens more in production, so it doesn’t look like it’s going anywhere soon. The PSVR is the only system I have personally bought for home. To be honest, I love gaming but I feel like a bit of a traditionalist: a quality 2D screen is fine for me. I did find after a couple of hours that the PSVR headset gave me a bit of an eyestrain headache (although it worked fine with my glasses on), and I’m not sure that the novelty will be sustainable. Overall this option is best if you are mostly interested in gaming applications via Playstation. Oculus was the first big player in the market with the Rift (but lost some fans when bought out by Facebook) and is the first step in the higher end of the market at around $649. It covers all types of apps: not just games, though they are strongly represented. A key point is that Oculus requires a PC to run, so if you don’t already have a pretty good rig this will be a consideration. By this end of the scale we are getting much more techy so you will need to do more research on hardware requirements and how it all works. But if you want to get towards the higher potential of VR, this might be worth considering. This one is the gold standard for VR. If you really want to see the best that the technology is capable of, you’ll go for this one, if you can afford the price tag which is upwards of $1400 (don’t forget you’ll also need a very good PC to make the most of what the technology has to offer). It can adjust the distance between your pupils to remove any hint of lowered quality or headachiness, and it uses the very best engines, lighting, and performance on the software side. The controllers are exceptional, allowing almost every type of interaction with the environment that you could hope for. I have had a reat experience with 3D light painting: it really is exceptional. My friend who is a huge expert on VR swears by it, and argues that anything less just doesn’t give a sense of the potential of the technology at all. Of course, it also comes with the heftiest price tag and system requirements. So once you’ve bought the headset you either need to upgrade your PC or carefully select and buy a new one which may set you back $1500+. Obviously this is the best option if you are really serious about VR, and/or have money to burn. This is the dark horse as Microsoft are being uncharacteristically guarded about releasing their own entry into the market. The Hololens is likely to be compatible with Windows 10 across all platforms, so it will run with both PCs and Xbox One (like Sony they have released a mid-generation console, Xbox S to handle the higher system requirements of VR). They key difference is that Hololens is more accurately called Mixed Reality, meaning that it has clear glasses that look onto the real world and then overlay digital content onto it, a bit like those Snapchat filters that add dog’s ears to your selfies. It thus claims itself to provide the first real holographic experience. The big market potential here is to provide AR experiences for Minecraft (!) and other games and apps, so this one is probably worth watching. Imagine this at a Game Truck party! Overall, VR/AR is definitely worth checking out if you want to see what all the hype is about. I’m a little wary though: we are probably past the novelty factor and quick crash that happened with the Virtual Boy, for example, but there are some big barriers that will hold the technology back from mass market appeal. If you want to try them out perhaps consider seeing if any friends have a system that you could try after dinner, or see if any local libraries, schools or Universities have any systems that you could test. I’d recommend getting a taste for the technology before investing, and talking to lots of people about the options to help refine your needs and what your attitude to risk and desire for investment is. Do you have experiences of or opinions on any of the VR views or options above? Post them in the comments! Do you have any questions about games, game culture, or gaming systems? Email chad@gametruckaustralia.com.au or call 0433 318 001. No Replies to "Virtual Reality (Ask a Gamer 11)"